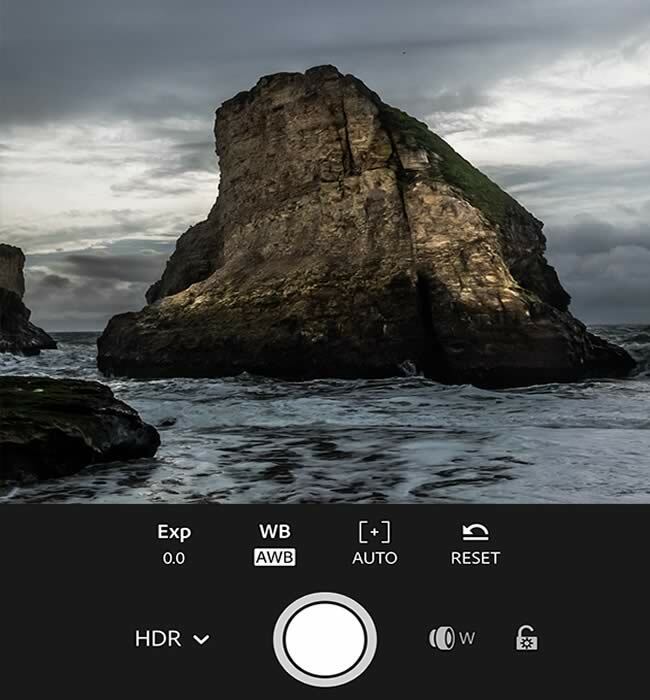 Now there has been an in introduction of Windows Phone 8.1, now Microsoft has given the developers more access to APIs that now develops the functional File Manager for Windows Phone. So now if you have a windows phone8.1 or your nokia lumia, you can try installing these perfect file managers that will help you in managing storage issues on your SD card. 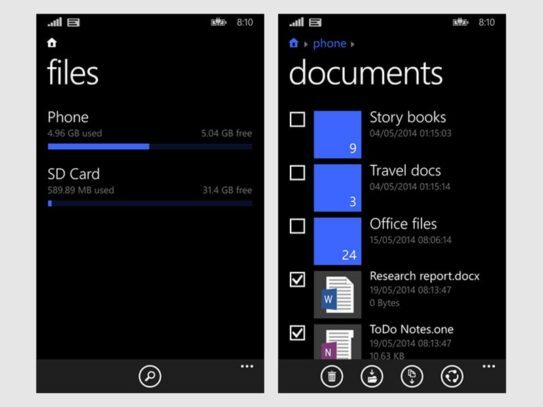 Files happens to be Microsoft’s own File Manager app that is especially made for Windows Phone. This app shall provide access to all the important file management tasks like browsing the directories, copying, moving, deleting and even renaming files. So for the people who want everything to be organised and in control, this is the perfect app to try and make directories and files through it. You can share the files through various sharing options. You can share many files at one go. You can share a full folder at a time. You can open and browse contents of even the zipped files. Now you can pin files and folders to the start screen and access them easily. You will also get detailed folder information and find the number of files of a particular type.You would need to pay $1.99 in the US Windows Phone Store to get this app but this is perfectly justified. It even compresses the files together to a zip file. You will also find a free version of this file manager named Aerize Explorer but then there are a lot of functionality that is locked down such as even the Padlock Security. 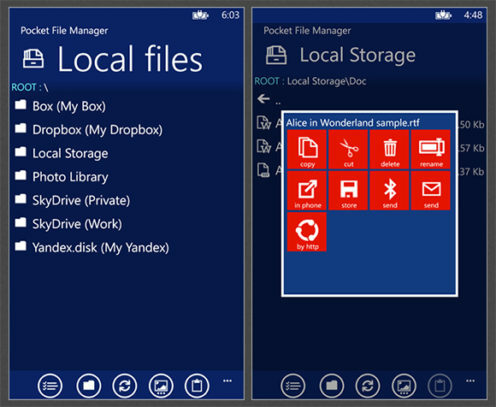 Thus, these are the best files managers that you can have for windows phone device.